Empire City Chiropractic (New York) - Book Appointment Online! 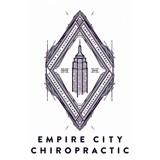 A state of the art facility conveniently located in the heart of Midtown Manhattan, Empire City Chiropractic strives to provide all of our patients with exceptional care and unparalleled hospitality. From your initial evaluation to your final appointment, you will feel like a part of the family. Dr. Devoe was friendly, professional and knowledgeable. He thoroughly explained the treatments and provided exercises that would help me going forward. He also verified my insurance and confirmed that visits would have a just regular copay that I pay specialist providers in network. I would go back and recommend him to family.